Please use light pressure when holding down to punch. If you want to round the corners of a layered invitation be sure to round each card individually then mount. 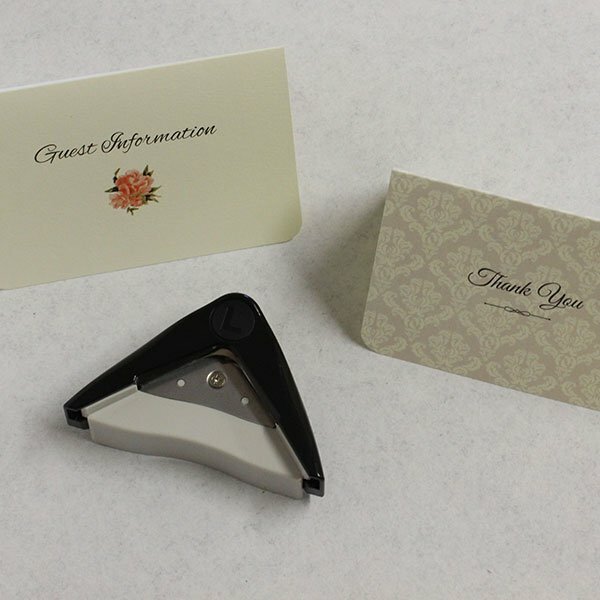 It’s easy to round the corners on your invitations with this handy little tool! It’s the little details that make your invitations a stand out. 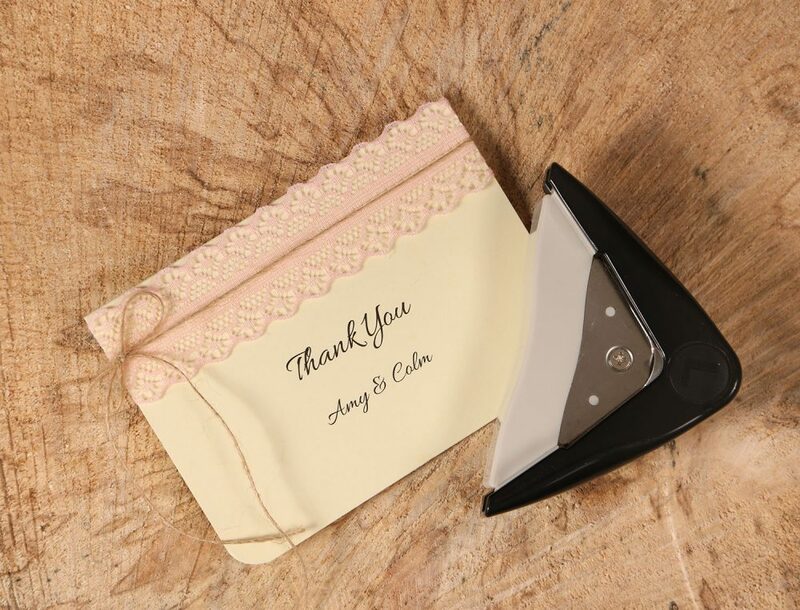 These are easy to use, easy to store and it captures any paper mess in the attached holder for easy clean-up.